Celia Baham is the recent winner of a 2012 URSA Award! I'm sorry.. your browser doesn't support the iframe syntax. 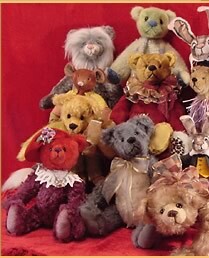 Celia's newest pattern book, "Teddy and His Constant Companions," is now available directly from Celia for $19.99. Get your copy by ordering the book from this web site! 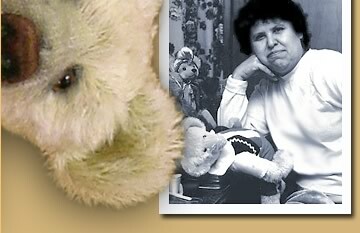 Purchase Celia's newest book, "Teddy and His Constant Companions" for just $19.99 when you order directly from this web site. 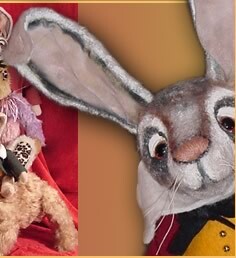 In addition to Celia's thorough instructions, tips and tricks, the book contains 12 original patterns for a wide variety of stuffed characters, including: BEAR, CAROUSEL HORSE, CAT, DOG, ELEPHANT, GIRAFFE, HARE EXTRAORDINAIRE, HEDGEHOG, MONKEY, MOUSE, PANDA and RAT. 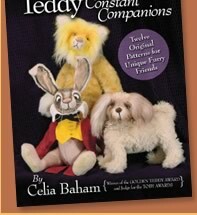 Retailers: quantity discounts are available, if you wish to carry "Teddy and His Constant Companions" in your store or shop. Contact Celia for more details.